A person’s sun sign represents the ego. It illuminates the way a soul is going about creating and actualizing the self. This month we examine Taurus (APR 20 – MAY 20) and the songs they gravitate to. Cher, Adele, Sam Smith, Barbara Streisand, James Brown, David Byrne, Glen Campbell, Willie Nelson, Peter Frampton, Billy Joel, Robert Pattinson, George Clooney, Kelly Clarkson, Roy Orbison, Joey Ramone, Janet Jackson. Taurus personalities are great homemakers. They are an earth sign and can’t help but feel the earth move under their feet. You might notice butterflies, flowers, or crystals represented in the decor of a Taurus personality. For long-term relationships they often choose people from the same social environment that are able to respond to their intellectual needs, but also the expectations of their family and close friends. They are materialistic and enjoy the comfort their possessions afford them. Sudden changes, complications, insecurity of any kind, and synthetic fabrics are things they do not enjoy. Taurus is not one who leads the way, or ventures into the unknown. 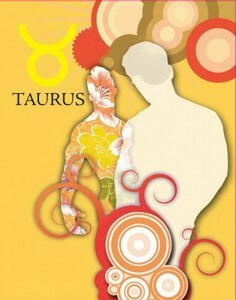 Taurus is a follower and helps strengthen a leader. Taurus personalities “dot all I’s and cross the T’s” because they have an eye for detail and want things done the correct way. Taurus are more sensitive than they appear on the outside and a slight or negative comment can be taken personally. They can be offended easily and get their feelings hurt. They are stubborn and this trait can result in laziness. They are not lazy when it comes to themselves.For long-term relationships they often choose people from the same social environment that are able to respond to their intellectual needs, but also the expectations of their family and close friends. Check Out Our Other Articles Featuring You & Your Astrology. I appreciate reading a post that will make people think. Also, thanks for letting me to remark!